Join us and become immersed in programs that use industry-current and program-specific software to ensure you have the knowledge and skills demanded by employers upon graduation. You will have access to information and technologies, such as online lectures and notes, to keep you connected to your professors and peers. To enhance your learning experience, you can develop practical skills through co-op placements, internships, Capstone projects, practicums and undergraduate research opportunities, with one of more than 300 industry and community partners. 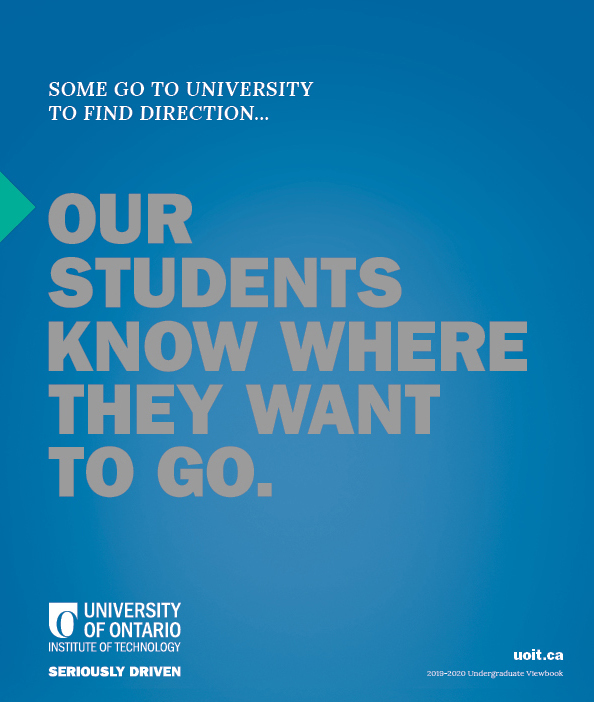 The university offers master's, PhD and graduate diploma programs that are both innovative and market-driven. While studying here, you will follow a modern curriculum designed to prepare you with the skills and experience you need to succeed in advanced roles in high-demand fields. We recognize that every student situation is different, so many of our programs offer the option for part-time studies, multiple program start dates and a variety of program completion options such as research projects, theses or a course-based program. The university offers multiple opportunities for you to turn your college credential into a university degree in as little as two years. You will be immersed in programs that use industry-current technology to ensure you have the knowledge and skills demanded by employers upon graduation. 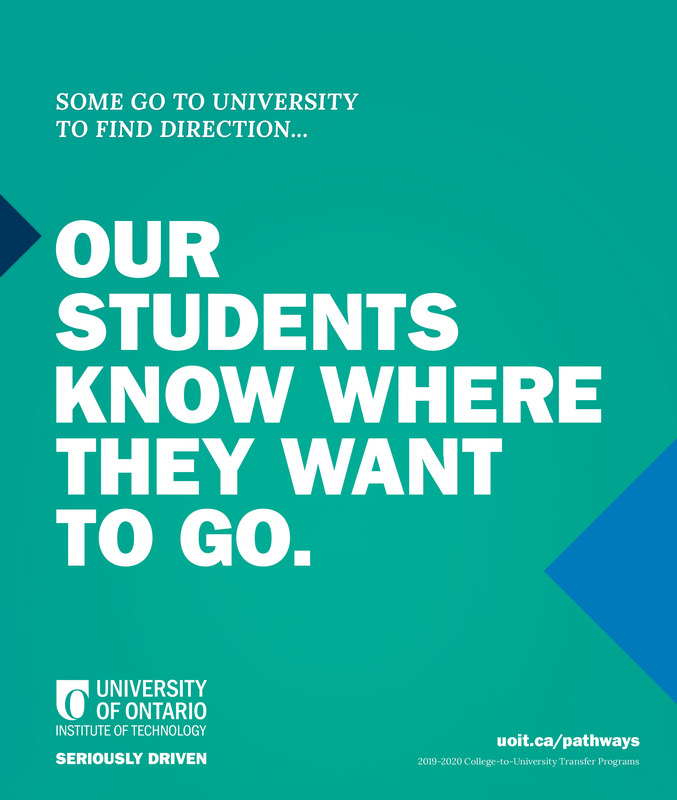 The University of Ontario Institute of Technology (UOIT) is in Oshawa, Ontario, Canada. We combine hands-on learning with innovative and relevant research in a technology-enriched learning environment. 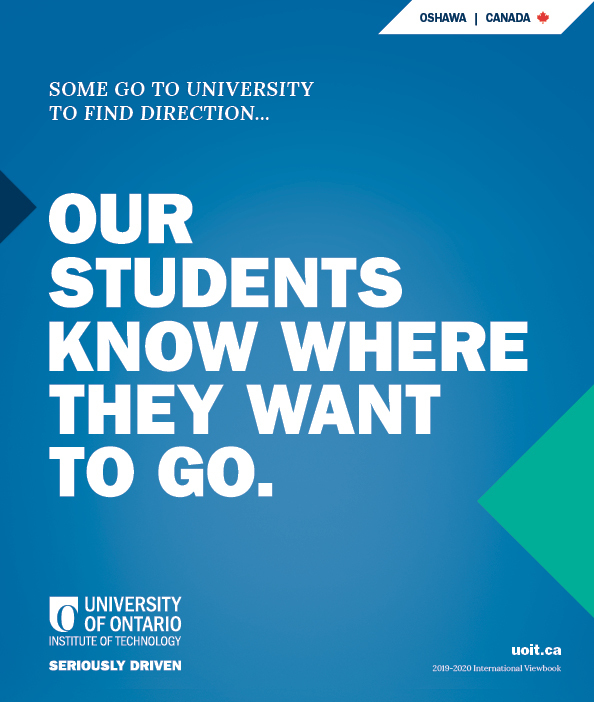 When you graduate from UOIT, you will be in demand because you will be prepared with the knowledge and skills needed to excel and lead in the evolving workplace.